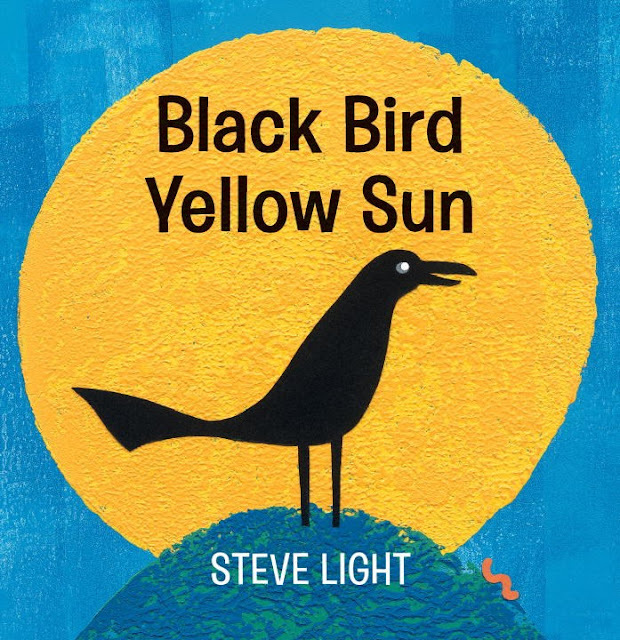 It is my pleasure to introduce my new board book, Black Bird Yellow Sun, to all of you. I wanted to create what on the surface looks like a simple book but is graphically exciting. This book for the very young follows a black bird through his day, from sunrise to bedtime under a blue moon. He has a little orange worm friend that follows him around. I hope children will have fun finding the worm on each page. The real fun for me in creating this artwork was trying to distill each picture down to the most interesting of shapes. I was very inspired by the artwork of Ellsworth Kelly. His bold paintings using simple shapes and colors felt like the perfect touchstone for this work. I tried painting the shapes of the sun, etc., but it didn’t have the right graphic quality. Then one day I saw a scrap piece of chipboard on my desk that was an interesting shape. I brushed some paint onto it and stamped it onto a piece of paper. Finally, the graphic look I wanted What if I cut all the shapes out of cardboard and printed them? Using printing ink and a brayer, I started printing pieces of chipboard. I loved the look of it! I found the more ink I applied to the chipboard, the more I liked it. I liked layering colors on top of one another. For the black bird and orange worm I used cut, collaged paper so they would really stand out. The smooth colored paper for the bird against the texture of the printer’s ink really worked visually. I had so much fun cutting and printing this book. The bold shapes and colors are inspiring to me. I look forward to doing more work this way. I cannot wait for Black Bird Yellow Sun to be published on March 6, 2018. I hope this fresh graphic approach will excite the eyes of young readers and that Black Bird Yellow Sun will become a favorite of children and parents everywhere. 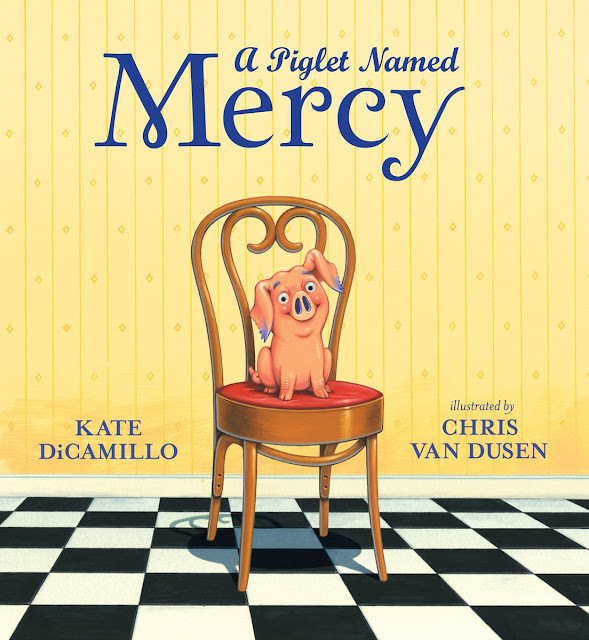 Thank you, Mr. Schu, for sharing the trailer here. Enjoy! Look for Black Bird Yellow Sun on March 6, 2018.